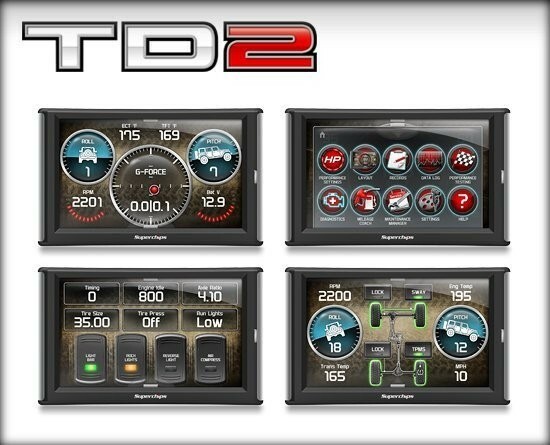 The most versatile performance programmer and on-dash monitor on the market today for Jeepis now equipped with 2018 JL Wranglercoverage! TrailDash2 PN 42051-JL is a PCM swap SKU that includes our bypass module. The TD2 delivers tremendous power paired with the innovative gauges and screen layouts to manage, monitor, and enjoy the driving experience. 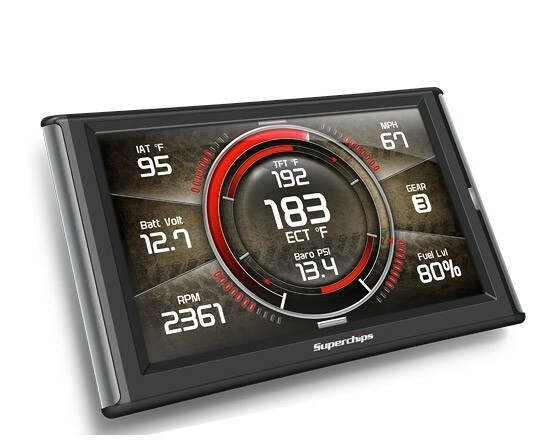 In addition to being first to market, with pre-loaded programming for the 2018 JL Wrangler, Superchips is pleased to continue extending the most meaningful options and expandability all in one, on-dash device. Remember, the 2018 JL Wranglerdoes require a PCM process and a unique set of steps required before tuning. It is extremely important you review and understand the steps required before you enjoy the tremendous power and functionality now available for the JL Wranglerwith TD2 PN 42051-JL. *This is normal and pressing continue will allow the device to continue reading your stock file. After completing steps 1 & 2, you will need to proceed to www.superchips.com and update your device. 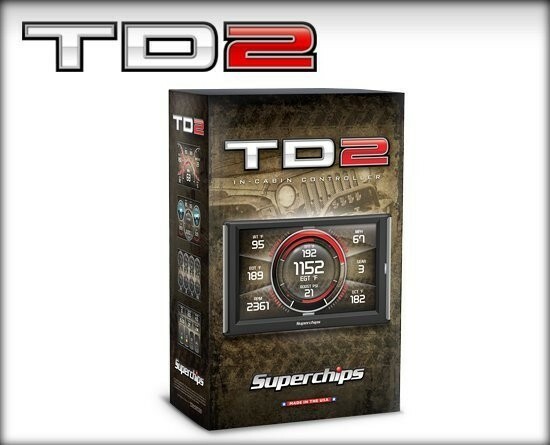 Navigate to the update tab and then proceed to the Fusion update tool and connect your TD2. Next, proceed to https://superchips.com/pcm-ship/ to submit your vehicle information and request and unlocked PCM. Proceed with the steps below only after receiving your unlocked PCM from Superchips. 3.Turn Ignition Off. Disconnect Tuner. Disconnect Battery. 4.Remove Factory PCM (10mm) and Install Unlocked PCM. Connect Battery. 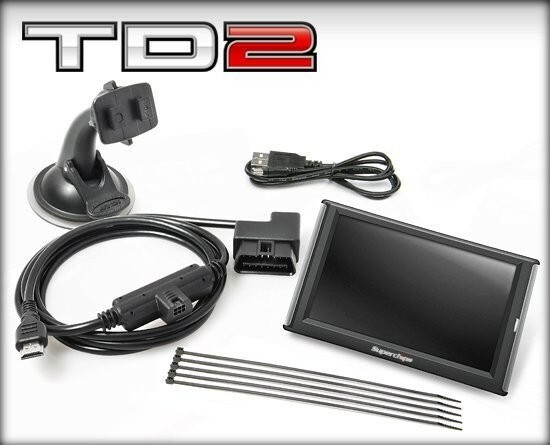 5.With Unlocked PCM installed, connect TD2 to Vehicle. On first power up with an Unlocked PCM, the cluster panel will illuminate the red security light and may warn about other module errors (Traction Control, ABS, etc.). This is not abnormal and part of the process. 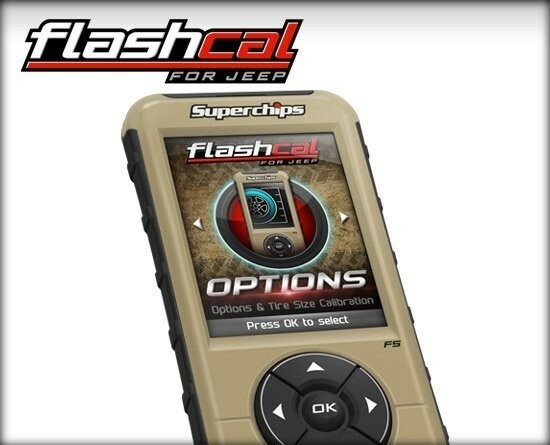 When you begin to tune and are prompted to turn the Ignition On, the cluster panel should no longer have the red security light illuminated which signals that your JL has been programmed, and connected, to the Unlocked PCM. After installing your tune, start the vehicle. 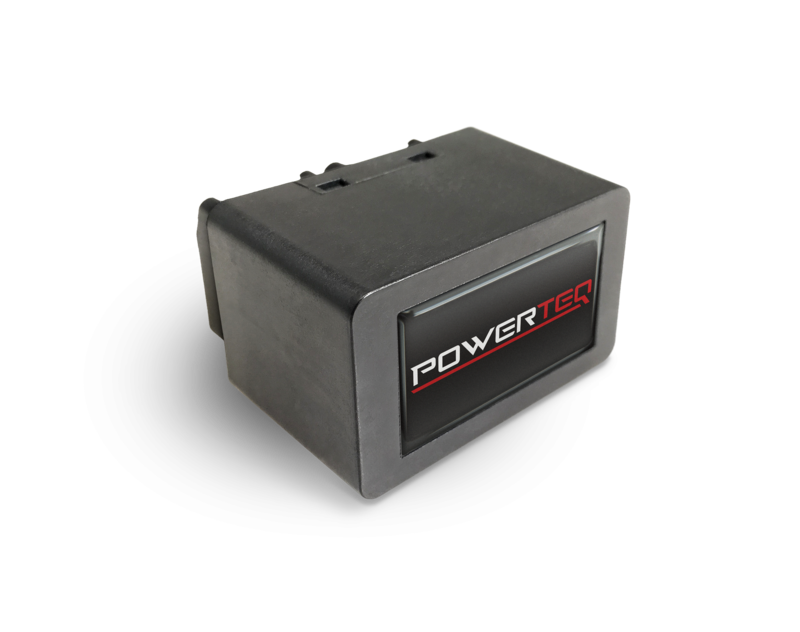 Let the vehicle run for more than 3 seconds, and test throttle response. The vehicle shutting off after ~3 seconds, or having a dead pedal indicates that there was an issue reading stock data and/or writing stock data to unlocked PCM. If throttle response is good and vehicle stays running, please continue by shutting off engine, returning ignition to ON. WARNING: This product is currently being tested with the California Air Resource Board and does not have an EO (Executive Order) number at this time. The product is not available for sale or use on pollution controlled vehicles in the state of California. TrailDash2 for Jeep® JL Wrangler® is rated 3.3 out of 5 by 4. Rated 3 out of 5 by Kevin1200 from Works as advertised. Installation is horrible The product works well. However, the pcm swap is not as easy as the company states, especially for the 2018 Jeep Wrangler Jl. There are videos online that can walk you through a swap out. However the video is for a JK. In the JL. Furthermore, the directions in the video differ than the written directions. The video states to remove the positive lead from the battery. However, the written directions state to remove the negative lead. Furthermore, the video stated a 8 mm wrench is needed to remove bolts. The reality is a 10 mm wrench is needed. Unless you have the hand size of a small child, it is nearly impossible to switch out the pcm unit. Rated 1 out of 5 by Byrt4 from Horrible installation We decided to go with Superchips for our JL as we have one for our other vehicle and love it. I read the instructions to a t and followed them. We took out the old pcm, and installed the new one. When we got to the steps of turning the ignition button on and off and on, then start our JL nothing happened, tried the steps again, it finally turned over but then shut off. I looked on your page for some tips or tricks, and found a YouTube link you posted, it’s no longer available. Needless to say I’m not impressed. That being said I also had very knowledgeable people at my side doing this with me. I wouldn’t recommend this to anyone until they figured out the proper install. Some say disconnect the positive, instructions say negative. Which is it? Do your research better I guess prior to purchasing this chip. Lesson learned. Rated 5 out of 5 by JonW from Extra power! 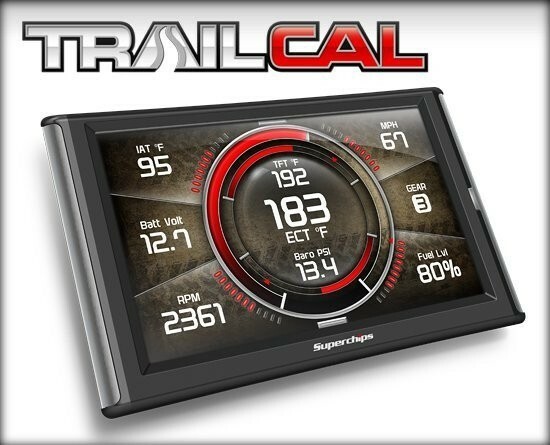 The directions need to be updated and install a little challenging but with the help of Superchips tech support this thing works great and adds a lot of extra power not to mention I was able to calibrate my 40 inch tires and 5:13 gears for my jlu. Easy to use once installed and has tons of great features . Will this allow you to engage or disable the front and rear lockers? 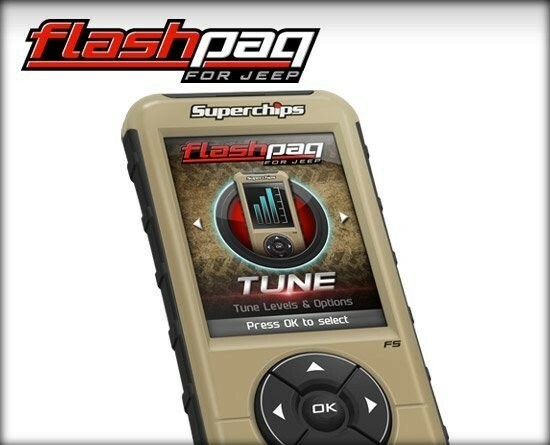 Is that same feature enabled on the F5 Flashpaq for 2018 Jeep&reg; JL Wrangler&reg; - 3876-JL?